If you are using Canon scanner such as MF4150, MF4770n, maybe you faced this problem ever: after upgrading the system to Windows 10, the Scanner cannot printing or it can printing but cannot scan. So for the two problems of Canon Scanner cannot work properly, try to use next steps to help you. If your Canon Scanner is old enough or if you do not mind to consider a new scanner for your work, here are 3 popular Scanners which are the best sellers in Amazon in 2018. 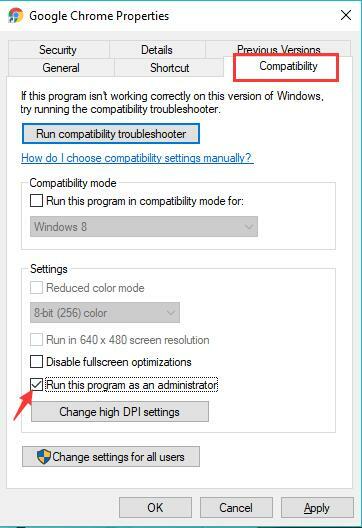 In some condition, after you upgrade the system to Windows 10, the previous driver cannot compatible with Windows 10, so you need to uninstall and update the scanner driver by yourself. If you cannot uninstall the toolbox in the normal mode, you can enter the safe mode to uninstall it. 1. 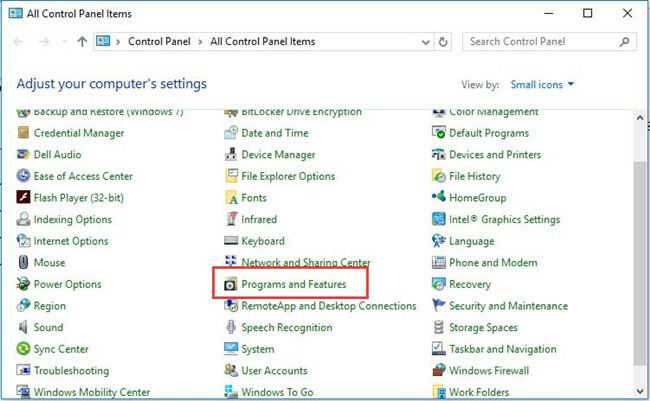 Follow this path: Control Panel > Programs and Features. 2. Find the Canon Toolbox, right-click it to choose Uninstall to uninstall it. 3. According to this way to uninstall the Canon scanner driver program. If there are other old scanner drivers program, uninstall them. Because other scanner driver problem may interrupt the new scanner. 4. Open device manager and expand the Imaging devices to find the canon scanner. 5. Right-click it and choose to Uninstall option to delete the device. Tips: If there are other old scanners driver lists here, you can also delete it. For uninstalling the Canon scanner driver and MF ToolBox, you can also use the Print Management application to help you. 6. Remove the printer after you uninstall the scanner driver and MF Toolbox. 7. Disconnect the Printer USB Cable. Because all of the devices need a driver to work, so after uninstalling the driver, you need to download the latest driver and reinstall it again. 2. Download the Canon scanner driver and MF Toolbox from the Canon official site. Of course, you can use Driver Booster to help you download it automatically. 3. Install the scanner driver and MF Toolbox step by step. 4. Reconnect the USB cable to the computer. 5. Turn on the Scanner power switch. In normal, this will help to solve the Canon scanner cannot work or can print but cannot scan problem. In some scanner, after you shut down the computer and restart it again, the problem appeared again. If you want to solve this problem, you can follow the next solutions. 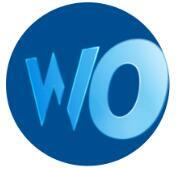 Enable the WIA services can help to solve the scanner not working again. Because the WIA service provides the image acquisition services for scanners and cameras, so you need to keep it running. 1. Find services applications by searching it in the search box. And then open it. 2. 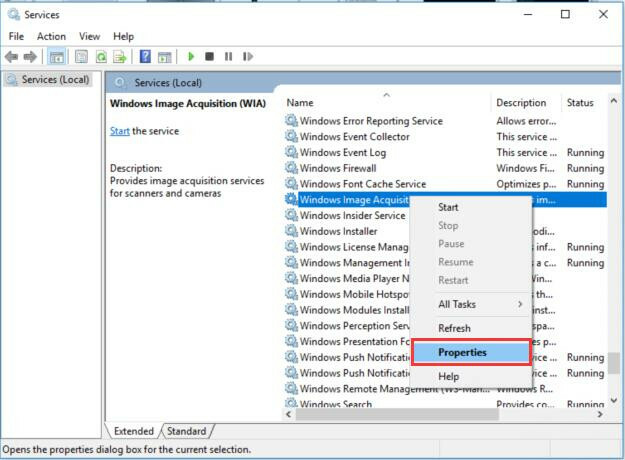 Find the Windows Image Acquisition, sometimes it is Windows Image Acquisition (WIA), choosing Properties from the right-click options. 3. 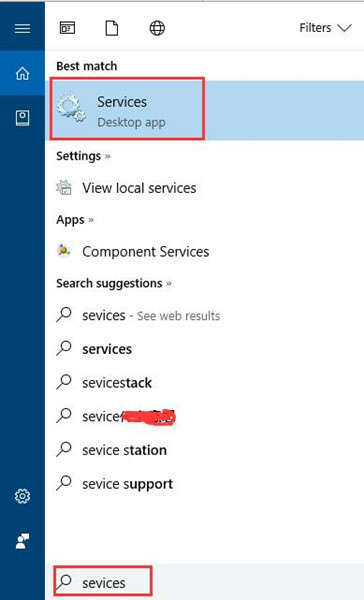 In the General tab, set the startup type as Automatic and start the service. Click Apply and OK to run it. 4. 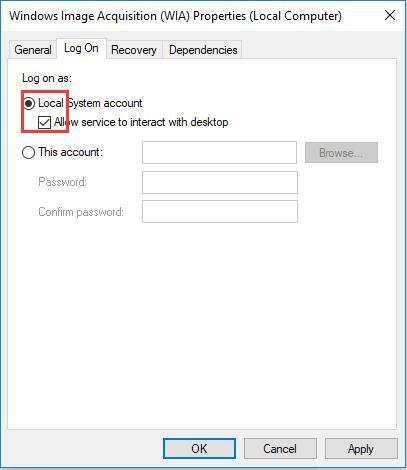 In Log On tab, select the local system account and make sure Allow service to interact with desktop is checked. 5. 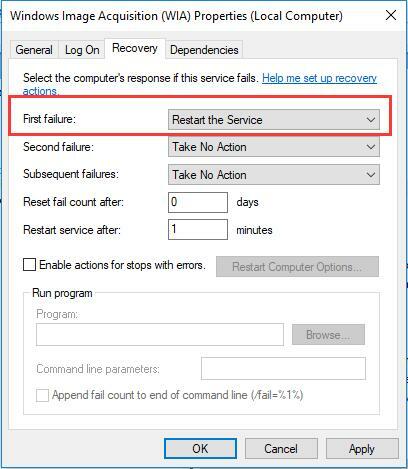 In Recovery tab, choose to Restart the Service option from the First failure drop-down box lists. 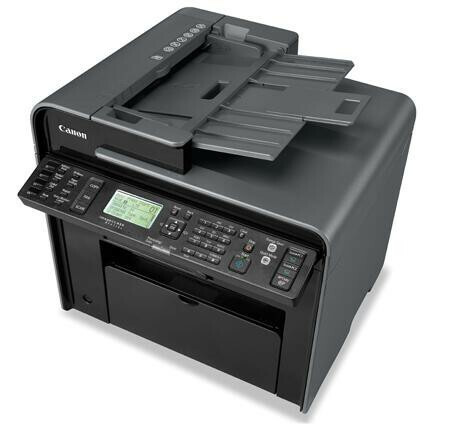 If your Canon Scanner can print documents or pictures but cannot scan it, try to do the follow things. 1. Right-click the MF toolbox and choose Properties. 2. Locate at the compatible tab, then click “Change settings for all users“. 3. Choose Run this program as administrator in the pops window. Make sure the picture can be scanning well, you can also reset the picture folder permission. 4. Right-click the pictures/documents folder, and choose Properties. 5. Locate at the Security tab, select your username and click Edit. 6. In all the options, select Allow option. 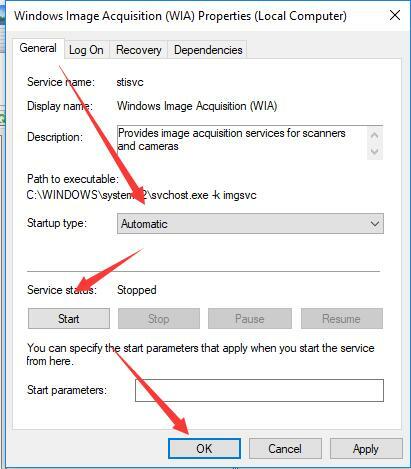 So here are 4 parts to help you to solve your Canon Scanner not working problem on windows 10. And the Scanner out of work is a relatively complex problem, so be a patient. How to Add a Printer on Windows 10?